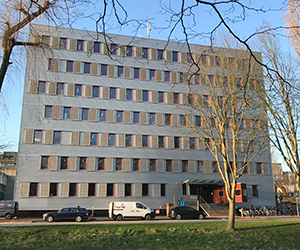 RTDS at TU Delft consists of 8 racks supplied with 3PC cards that are able to be used for real time simulation with a time step greater than 50µs (to be upgraded via new PB5 cards to 2µs in 2015). The RTDS Simulator allows to test protection and controls in real time, where an hour in the real world equals an hour in the simulator. Utilizing modular custom computing hardware and software, simulations performed encompass results from DC up to electromagnetic transients. Inherently, these results include information regarding the system load flow and transient stability, as well as that of harmonics and faster disturbances. Equipment can be thoroughly test-driven and customized. New power system network designs or upgrades can be evaluated and accurately tested. Black box real-world equipment (e.g. closed-source controllers) can be tested and integrated in larger test scenarios without having a model. 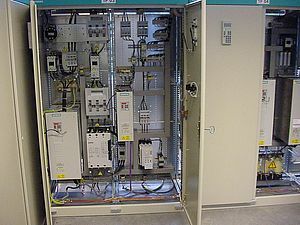 Closed-loop testing of protective relays and control systems. Studying general AC system operation including behavior of generation and transmission systems. Investigating dynamic power system equipment interaction. 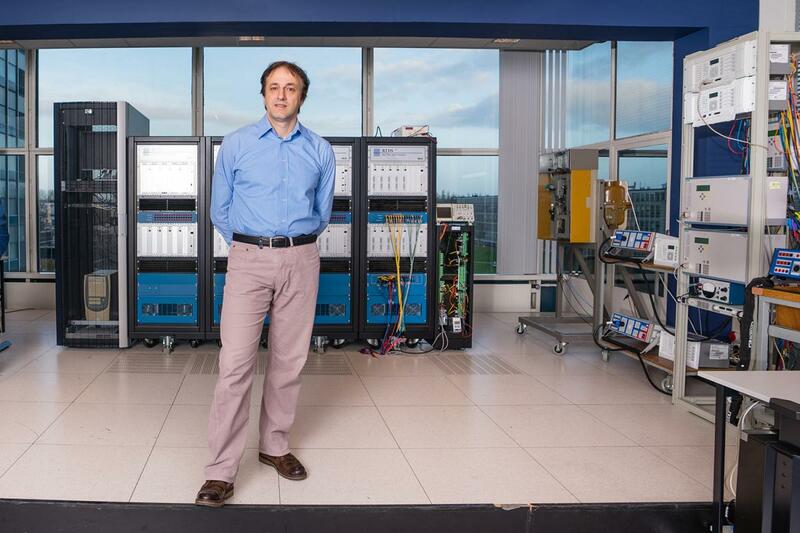 Studying interaction between integrated AC/DC systems. 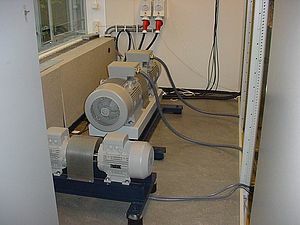 Testing of control system of converter based equipment. 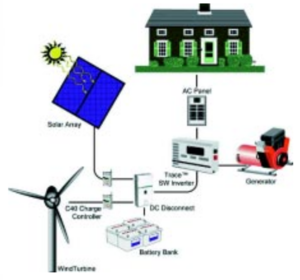 Integration and operation of distributed generation and renewables. Investigation and testing of SMART Grid initiatives including wide area protection and control. IEPG applies several tools for power system analysis (generation, transmission, and distribution). Among them are commercial software packages like DIgSILENT PowerFactory, PSS/E, and PSCAD, which are used extensively in national and international research projects with industrial and academic partners. Open source tools like OpenModelica and ATP-EMTP are alternative tools applied for the development of user defined models and controllers. These tools are used in combination with Matlab, Python, Fortran, and C++, to create highly automated and integrated solutions for modelling, simulation, and data processing, as well as to allow the application of the most powerful state-of-the art algorithms for assessment of system performance and design of control and protection schemes. The analysis of the steady-steady performance (power flow and optimal power flow) and slow dynamic phenomena (few miliseconds to minutes) of electrical power systems is conducted by using DIgSILENT PowerFactory, PSS/E, and OpenModelica, whereas fast dynamic phenomena (few micro seconds to miliseconds) are studied by using DIgSILENT PowerFactory, PSCAD, and ATP-EMTP. 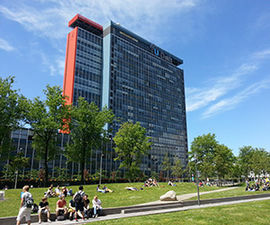 DIgSILENT PowerFactory is used in the teaching activities of the course ET4113 Power System Dynamics, whereas OpenModelica and MATPOWER are used in SET3065 Intelligent Electrical Power Grids. Matlab Simulink is the main tool used for the study of hybrid AC-DC systems in the course EE4545 Electrical Power Systems of the Future. When the individual tools reach their limits, IEPG combines them into co-simulations. Using co-simulation, we can address problems larger in size and scope (such as integration of many distributed renewable resources) or the problems that are spanning across multi-energy carriers (such as integration of electricity and heat networks) . Mosiak and HLA are the co-simulation master tools that are used by IEPG to pass the messages between the simulators and to synchronize the execution of the co-simulation. In one such example, IEPG used OMNET++ with grid simulation tools to study impact of delays and cyber-attacks on the grid. In another, we used MATPOWER in combination with grid simulation tools to study the interplay between electricity markets and the grid. DENLAB is an autonomously operating renewable energy environment that meets the energy needs of 10 households by wind and solar energy and a combined heat and power system. 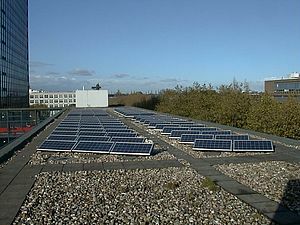 The system has 12kW (120 m2) solar panels installed, 30kW wind power (simulated by an anemometer and a motor-generator set), 5.5kW CHP (combined heat and power; simulated by a motor-generator set), 100kWh energy storage (simulated by a bi-directional inverter) and a grid -connection. The development of an Intelligent Power Control Unit - to run the system autonomously - is the main objective of the research. 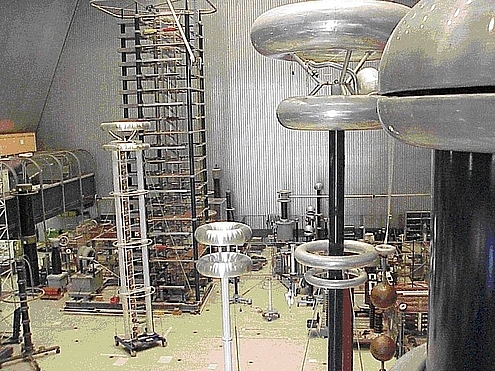 The High-voltage laboratory is the second largest in the Netherlands. 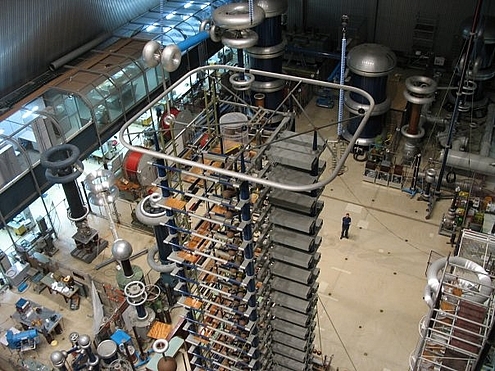 Testing facilities include a 4 megavolt impulse generator and ac sources up to 1.5 megavolt.